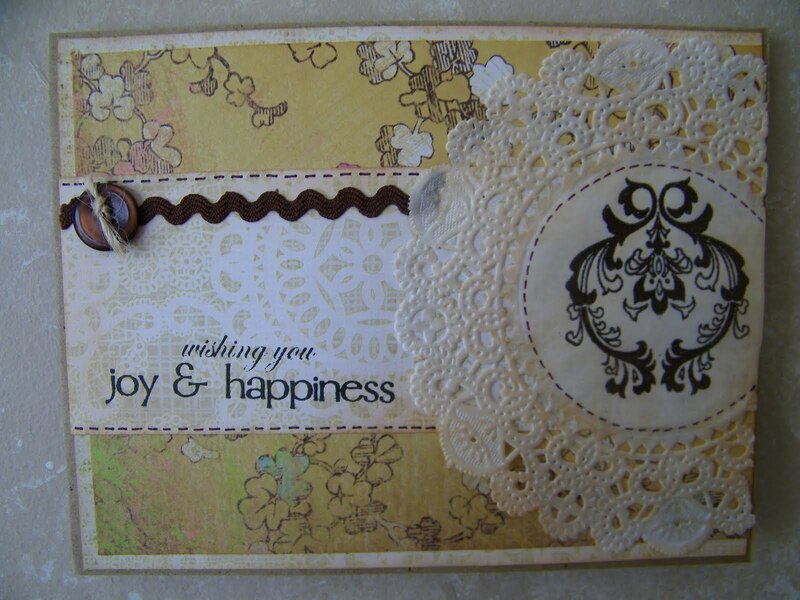 The challenge over at Moxie Fab was to create a card, layout, bag, tag etc with something to do with Damask. I decided to do a several cards using 2 sheets of paper and one set of stamps. 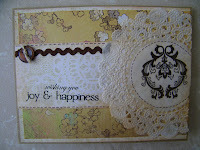 The stamps I selected are the July Kit Club stamps called "Happily Ever After..." from Unity. Love them!!!! My papers are K & Company Flower Vine, it has a great vintage look to it and Basic Grey Nook & Pantry Cornbread paper. On each of my papers that I used I distressed them with Tim Holtz Tea Dye Distress Ink and a blending tool. 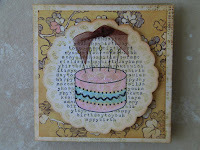 This is the card that I am submitting for the Challenge at Moxie Fab. I don't think you can ever have enough friends and you need to take the time to let them know how special they are in your live. You get to live your life once so family and friends are very important. 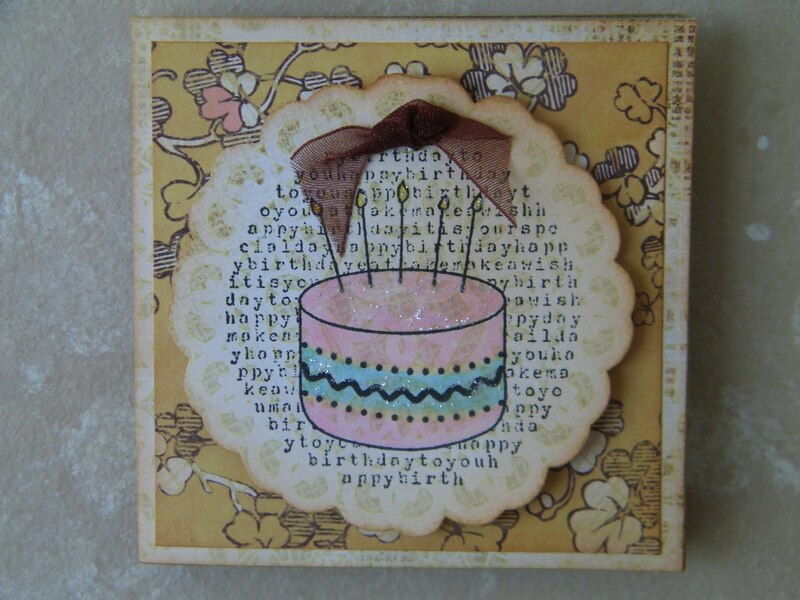 I made this 3" x 3" birthday card to use on a birthday bag. If you haven't thought about it before. 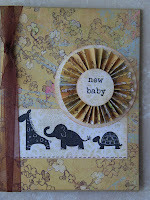 3" x 3" are a fabulous way to get rid of your scraps. I stamped my image and then used a Marvy 2" scallop punch to punch the image out and placed it on my card with pop dots added a small bow. Instant gift tag. 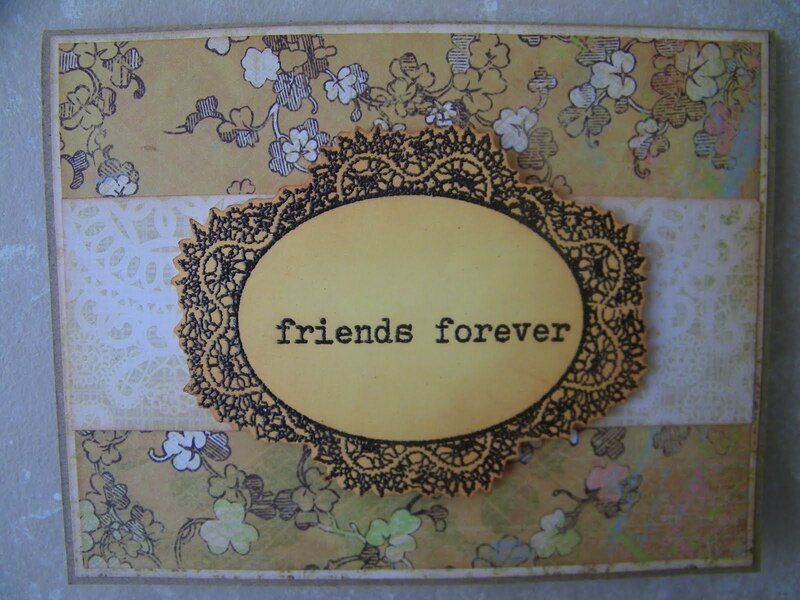 This is an A2 card that I made using a paper doily and again a Damask stamp and a sentiment from the Unity stamp set. I added so some brown ric rac and a button that was tied with tan string. Love that string it comes in a variety of colors. Paper doilies come usually 10 to a pack and are very inexpensive. 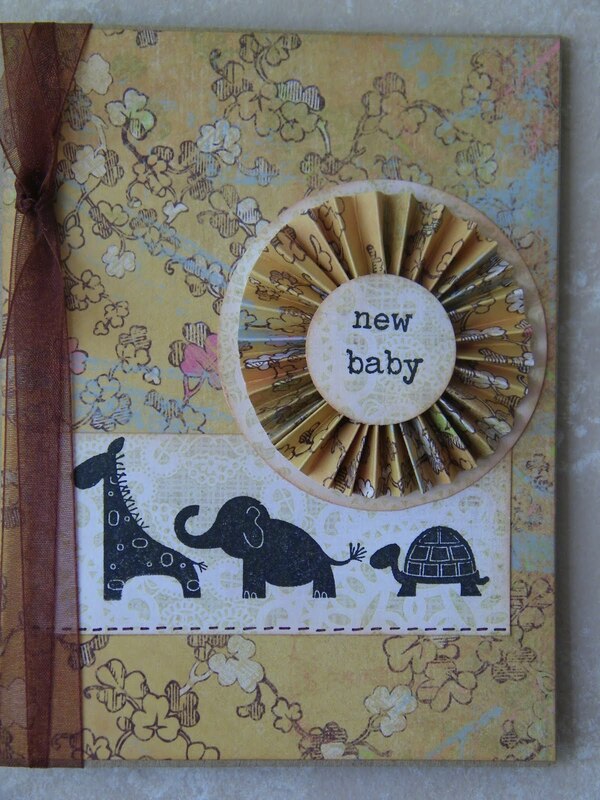 And to finish up my cards I made this congratulation card for a new baby that is in my life. The rosettes are so easy to make. I have share a few times on my blog on how to make them so make sure to scroll down to see how to do them. Beautiful Cards! I just love those stamps... :) I love the papers and everything! "Wishing You a Very Merry Christmas"
Me and the Little Rascals - Big Giveaway!!!! !